Confetti & Graffiti the perfect pair! Confetti & Graffiti…. it sounds like an odd combination doesn’t it! Thankfully for me it’s not, as Stampin’ Up! have once again come to the rescue with some fabulous products, that have helped me create the perfect card for my youngest son’s 11th birthday :-). How did this totally cool card come to be? Well I have to admit that I was lacking in the creative mojo department yesterday. Sometimes a girl just gets plain worn out thinking up new ideas all the time. So I jumped onto Pinterest to see what I could find in the way of inspiration. 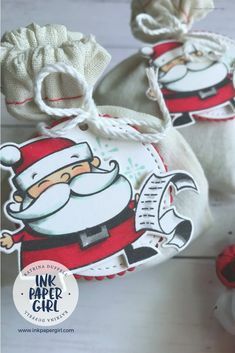 First up I searched Stampin’ Up! Guy cards…it gave me lots of great ideas for the Guy Greetings stamp set from Stampin’ Up! however they were more suited to an older boy or man. Then I tried searching Stampin’ Up! Kids cards & hit gold! There were all sorts of cool ideas to choose from. There were cards for younger kids & cards for older kids. 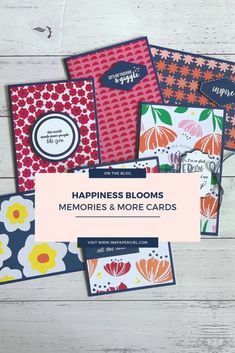 Cards for boys & cards for girls….seriously my friends, if you are ever lacking for ideas & inspiration you need to get onto Pinterest, pronto! So what did my littlest man think of his card? It got the thumbs up!! He was particularly impressed with the brick wall that I created using the Brick Wall Textured Impressions Embossing Folder from Stampin’ Up! Oh & of course the shaker part..let’s not forget that bit ;-). I also think it’s worth mentioning that I only used 1 stamp set to create this card….that’s right, just 1!!! Pretty amazing right! You get all the cool sentiments & images on this card in just the one set. It’s called Confetti Celebration & is a rubber stamp set from Stampin’ Up!, it comes in your choice of either Clear mount or Wood mount. And now it’s time for a special birthday dinner & then cake, so I’d better get going. Hot Tip: If you aren’t sure what to search for when using Pinterest, I’d suggest typing in Stampin’ Up! 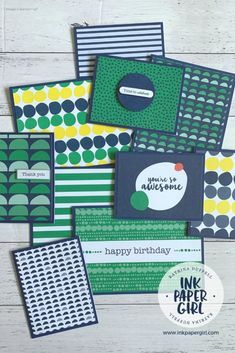 birthday cards & then start scrolling through, the more you like “pins” & the more you “pins”, you pin onto boards, the more your customised your searches & suggestion pages become. If you aren’t ready to search something or just can’t be bothered spelling (some days I just can’t get the brain in gear), then why not start following me on Pinterest?! I have loads & loads of boards dedicated to Stampin’ Up! & I organise them by the name of the stamp set or DSP. Click here to follow me on Pinterest. Last but not least, inspiration credit goes to Julie Kettlewell from the UK. Many thanks to Julie for sharing her idea on Pinterest :-).